A dark and violent crime thriller set against the backdrop of 1940’s Los Angeles. Amid the post-war boom of Hollywood's Golden Age, Cole Phelps, an LAPD detective is thrown headfirst into a city drowning in its own success. Corruption is rampant, the drug trade is exploding, and murder rates are at an all-time high. In his fight to climb the ranks and do what's right, Phelps must unravel the truth behind a string of arson attacks, racketeering conspiracies and brutal murders, battling the L.A. underworld and even members of his own department to uncover a secret that could shake the city to its rotten core. 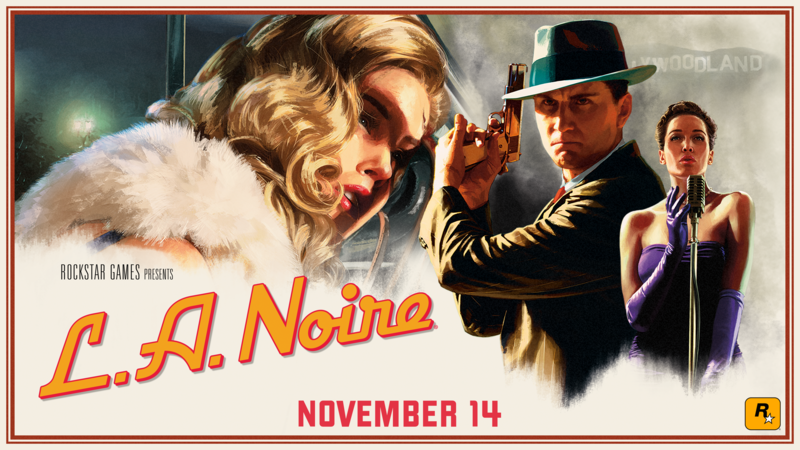 Utilizing revolutionary facial animation technology that captures every nuance of an actor's facial performance in astonishing detail, L.A. Noire blends the breathtaking action with true detective work for an unprecedented interactive experience. Solve brutal crimes, plots and conspiracies inspired by real crimes from 1947 Los Angeles, one of the most corrupt and violent times in L.A. history. Search for clues, chase down suspects and interrogate witnesses as you struggle to find the truth in a city where everyone has something to hide. • Showcased in 1080p for Xbox One and stunning 4K for Xbox One X. • Includes the complete original game and all additional downloadable content plus new collectibles and detective suits to unlock, each with unique special abilities. • Features an array of technical and graphical enhancements for a more realistic Los Angeles. Xbox One X and 4K TV required for 4K gameplay. Software license terms available in game and at www.rockstargames.com/eula; online account terms at www.rockstargames.com/socialclub. Non-transferable access to special features such as exclusive, unlockable, downloadable or online content, services, or functions may require single-use serial code, additional fee and/or online account registration (varies 13+). Access to special features may require internet connection, may not be available to all users, and may, upon 30 days notice, be terminated, modified, or offered under different terms. Violation of EULA, Code of Conduct, or other policies may result in restriction or termination of access to game or online account. For customer& tech support visit www.rockstargames.com/support. Rockstar Games, 622 Broadway, New York, NY, 10012. ©2006 – 17. Rockstar Games, L.A. Noire, and R* are marks/logos/copyrights of Take-Two Interactive. Portions (c) Copyright Master Licensing, Inc., 2017, all rights reserved, Naked City and Naked City-related trademarks and trade dress are trademarks of Master Licensing, Inc. All other marks and trademarks are properties of their respective owners. Dolby and the double-D symbols are trademarks of Dolby Laboratories. Havok software is © 2017 Microsoft. All rights reserved. Uses Bink Video. Copyright © 1997-2017 by RAD Game Tools, Inc. All rights reserved. Unauthorized copying, reverse engineering, transmission, public performance, rental, pay for play, or circumvention of copy protection is strictly prohibited. This is a fictional story set in 1940s Los Angeles depicting invented and fictionalized historical characters, groups, locations, scenes and events in a manner that is not historically accurate and should not be interpreted to be factual. All brand names are trademarks of their respective owners, who are not affiliated with this game. The makers and publishers of this videogame do not in any way endorse, condone or encourage engaging in any conduct depicted in this videogame.